In published reports from recent years, the Council of Indigenous Peoples (CIP) compiled the results of the first stage of a three-year study into the languages of Austronesia. Focusing on five languages used in Taiwan – a state with 14 officially recognized indigenous groups – the study illustrated a lamentably commonplace trend. Over time, aboriginal languages are being supplanted and replaced by more commonly-spoken ones – in this instance, by Mandarin Chinese. Concentrating on the Thao, Kavalan, Tsou, Kanakanavu, and Saaroa languages of Taiwan, the CIP study drew from over 2,000 individuals to determine language use frequency, attitudes, and listening, speaking, reading, and writing skills. Results showed that these languages were used less than 40 percent of the time in conversation, that literacy skills were not as high as speaking ability, and that the most proficient users of these languages were over the age of 60. The CIP will push forward with its multi-stage study, and intends to examine 11 more indigenous languages of Taiwan over the next two years. The Council plans to provide the local government and federal agencies with its findings in order to promote these languages and to revive interest in their preservation. 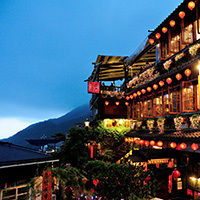 Preserving the indigenous languages of Taiwan is particularly critical. The island is considered by many linguists and historians to be the birthplace of all the Austronesian languages, covering a swath of the globe from Madagascar to Easter Island. It was not until the mid-17th century, when Dutch colonialists expanded their presence to the island, that Taiwanese aborigines first encountered foreign visitors. After the Dutch established a presence on the island and began to trade with China and Japan, the island quickly filled with Chinese immigrants, and was later conquered by China in 1683. Following centuries of conflict and contention, the People’s Republic of China took full control of Taiwan in the 20th century and has had a major political, economic, and linguistic presence on the island since that time. While Chinese governance has brought with it notable improvements in education, it has also dominated cultural norms, making Mandarin Chinese the most commonly-spoken language on the island. Perhaps modern studies into the aboriginal languages of Taiwan will spark renewed interest in the historic roots of one of the largest and oldest language families in the world. Maria Khodorkovsky covers research at the intersection of language, psychology, and society for ALTA Language Services. Her work has appeared in the Atlanta Journal-Constitution, Curbed, and on the websites of the Terminology Coordination Unit of the European Parliament and the National Museum of Language. Maria studied Russian Translation at the Monterey Institute of International Studies.